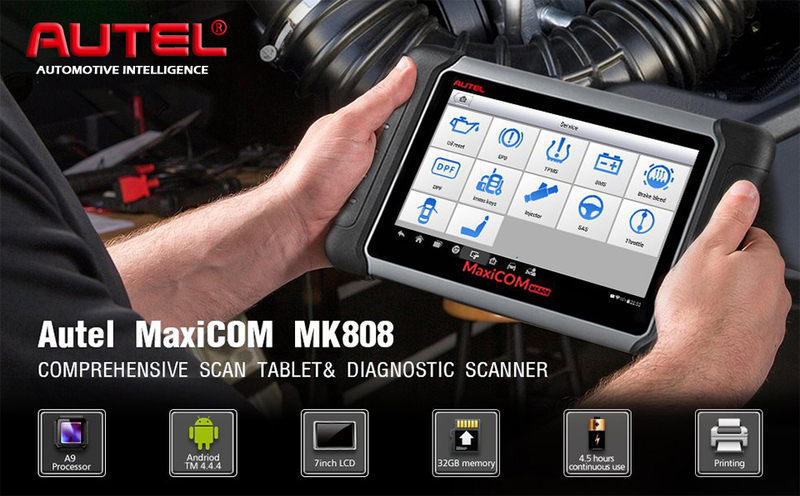 The MaxiCOM MK808 is a powerful Android tablet with an intuitive seven-inch touchscreen capable of scanning all available modules for faulty codes and aiding in performing an extensive list of the most popular maintenance services including oil and service light resets and steering angle sensor calibration. 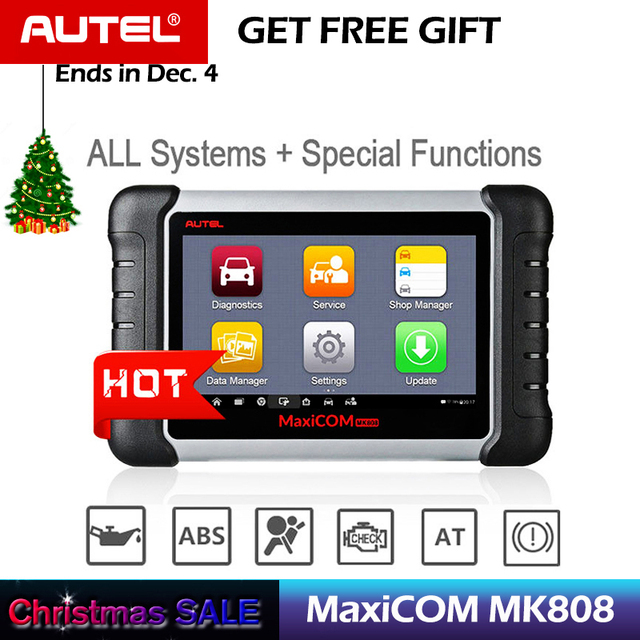 The tool’s quad-core processor and 32GB operating memory combined with its drill-down touch interface enable deft analysis of domestic, Asian and European vehicles, 1996 and newer. 1. 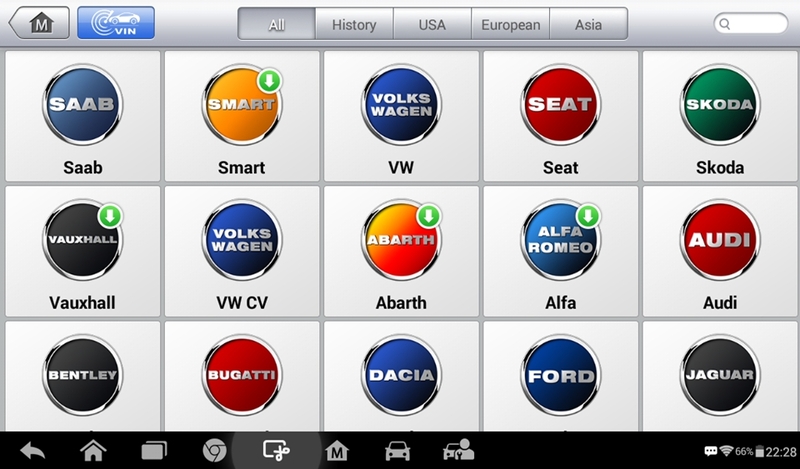 Oil reset service allows you to perform reset for a new calculation of Engine Oil Life system once changed the oil. 2. EPB service is important in the maintenance of electronic braking system's safety and efficiency. 3. 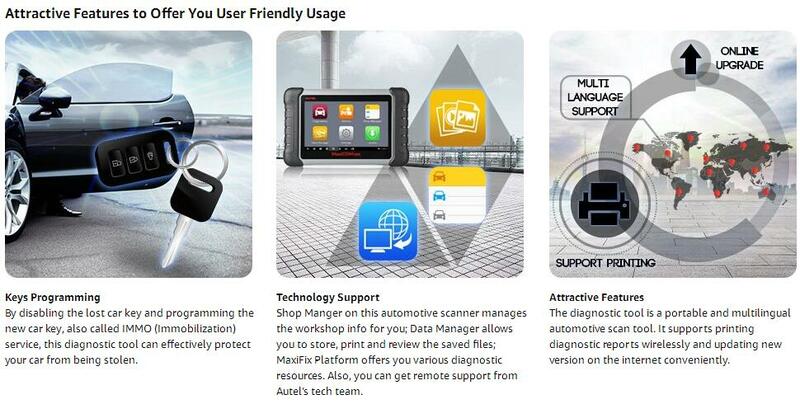 BMS service allows the scan tool to evaluate the battery charge state, monitor the close-circuit current, register the battery replacement, and activate the rest state of the vehicle. 4. DPF service specially works for Diesel Particulate Filter system with DPF regeneration, DPF component replacement teach-in and DPF teach-in after replacing the engine control unit. 5. SAS service helps clear the fault steering angle sensor memories and plays an important role in the steering angle sensor calibration. 6. 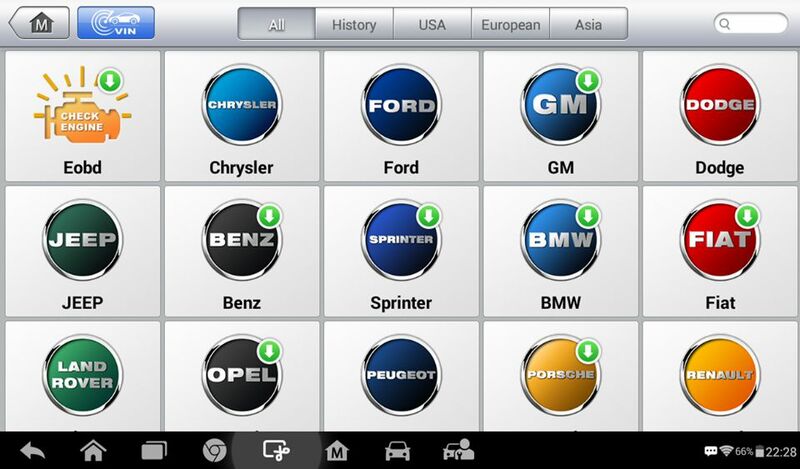 TPMS service makes sense in displaying sensor IDs from the vehicle's ECU, inputting TPMS sensor replacement IDs and testing sensors. 7. IMMO, the unique function MK808 has at this price, is mainly used to disable the lost vehicle keys and program a new replacement key fob. I will check it for you. 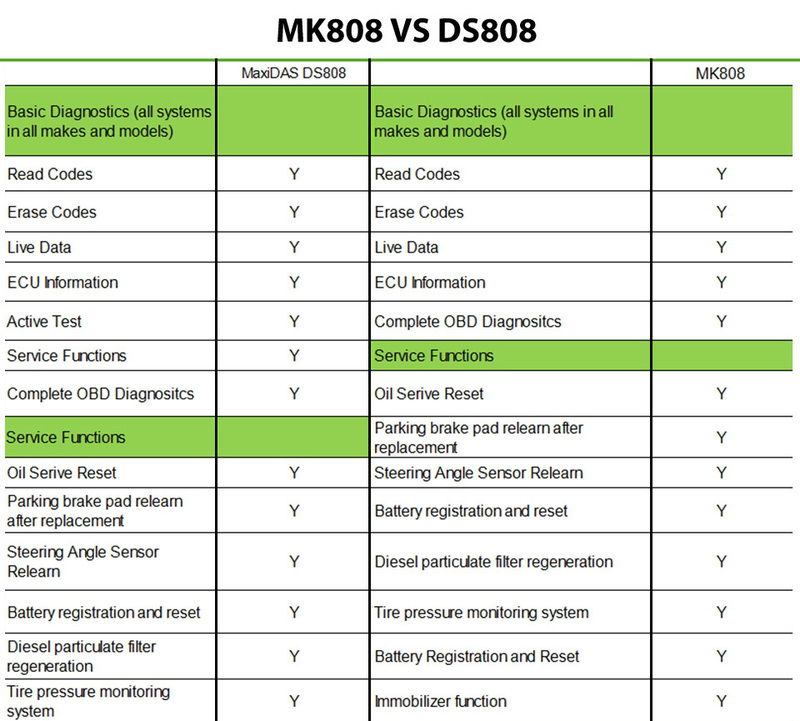 When it comes to the Non-OBD2 vehicles, you can connect the device with vehicles via adapters to complete car diagnoses, and the signal connected will be more stable. 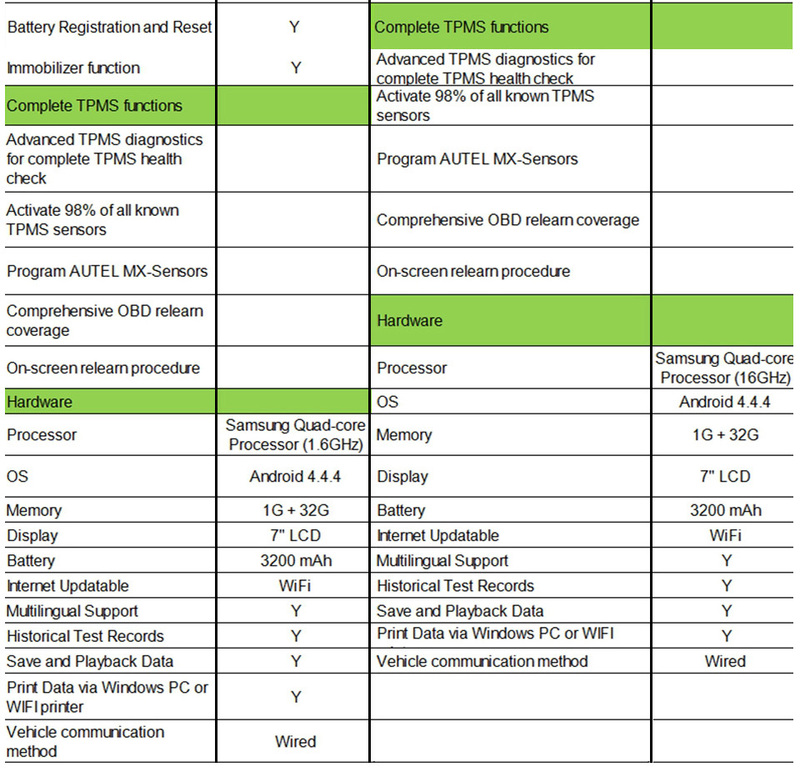 This diagnostic tool supports different kinds of adapter connection.